If you wake up on the weekends craving an indulgent first meal but find that the brunch line at Cafe Ghia is too long for you to bear, then this will be welcome news: As of this weekend, from 11am to 3pm every Saturday and Sunday your favorite local restaurant, bar and movie theater combo Syndicated will be serving a brunch menu that was expertly crafted by Executive Chef Bret Macris. 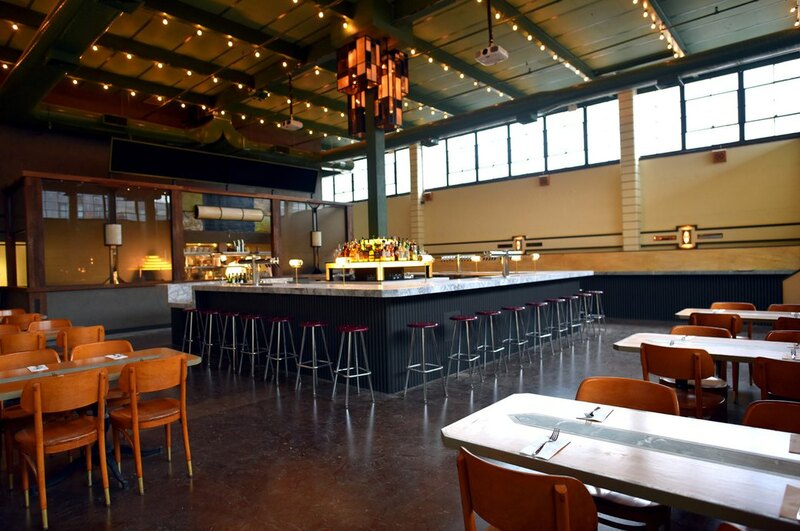 “When coming up with the Syndicated brunch menu, I was thinking about what would make the perfect hangover cure dishes,” Macris tells Bushwick Daily. 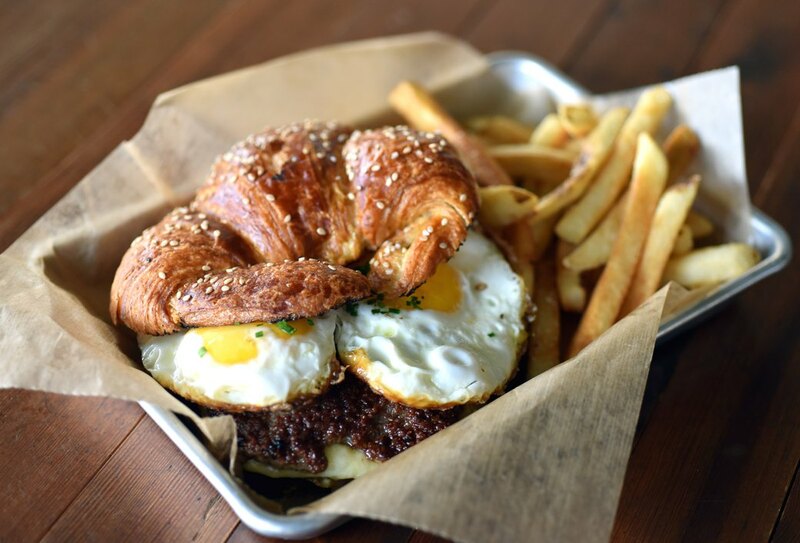 One such cure is their breakfast sandwich, which consists of a breakfast sausage which is made in house, a perfectly runny fried egg and aged cheddar served on a toasted pretzel croissant. A fried egg is also part of Syndicated's breakfast burger. For those who prefer scrambled eggs, there's a huevos rancheros burrito featuring house made chorizo. The menu also offers takes on some all-American childhood favorites (see: loaded breakfast tots and french toast sticks—part of this complete breakfast, Saturday morning cartoons not included). Of course, no brunch is complete without cocktails. Bar Manager Kenneth Vanhooser has devised a tempting menu of libations that put garden variety mimosas to shame. Some highlights: The Lawnmower Man (named for the 1992 science-action-horror film) marries Hophead vodka and Cachaca 51 (Brazilian sugar cane spirit) with carrot juice and a seasonal green market syrup. Caffeine addicts can get their fix with a Cerro De Punta, which blends two types of rum with coffee, Amaro Montenegro, Disaronno Amaretto, lemon juice and cinnamon. 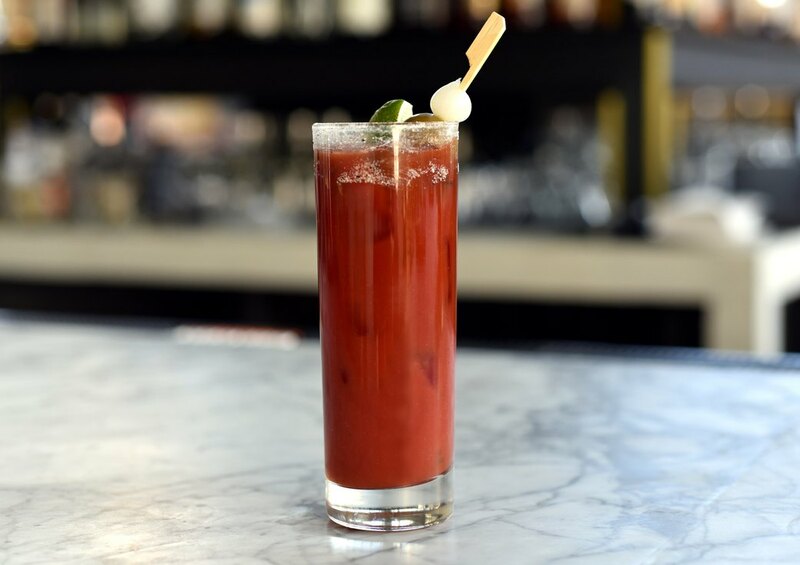 Finally, note that the most essential brunch cocktail of them all, the Bloody Mary, is done with panache at Syndicated, where the bloodies get their heat from the addition of gochujang, a Korean chili paste. Best of all, select brunch items will be served in the theater, so you can take your groggy, hangry self to a matinee screening (coming soon) while feasting on delicious grub. Bon appetit, Bushwick brunchers! 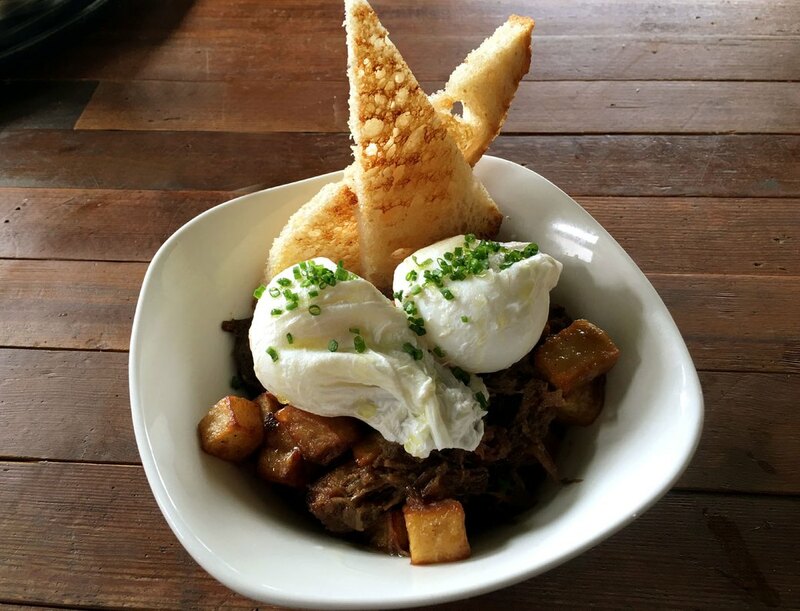 Syndicated brunch is served Saturday & Sunday 11am – 3pm. Syndicated is located at 40 Bogart Street off of the Morgan stop on the L train; See the full menu here.